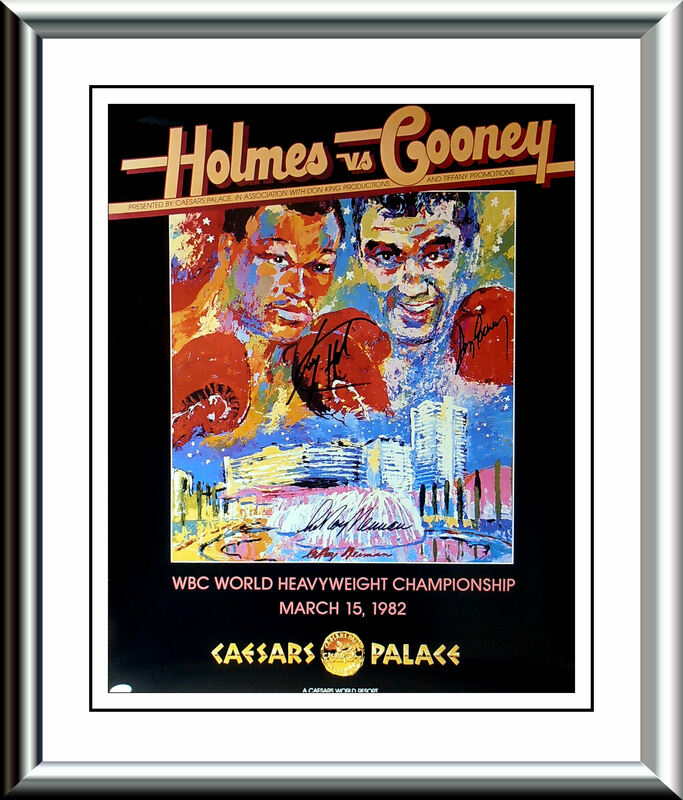 Description : Here we have an original Leroy Neiman copyright poster produced for the much anticipated showdown between reigning WBC Champion Larry Holmes & the great white hope, Gerry Cooney. 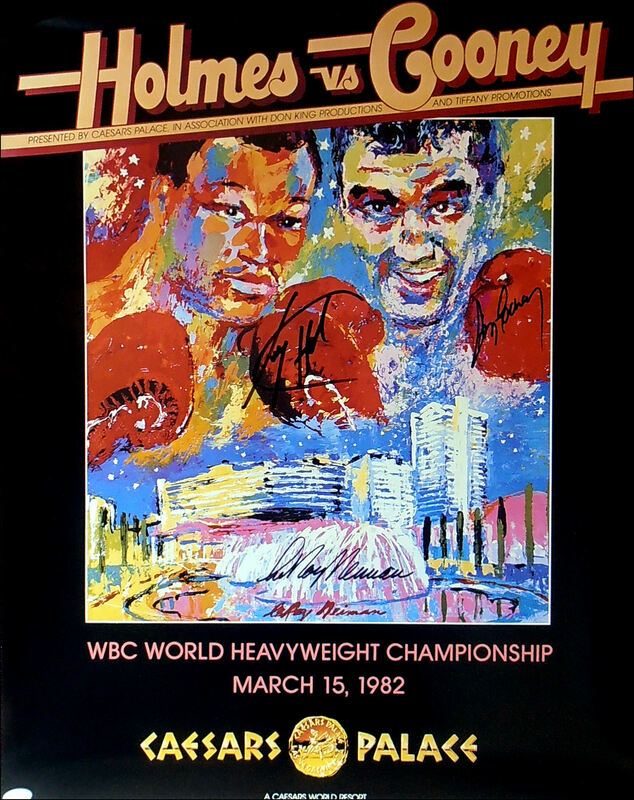 This poster has been signed by the late great world famous sports artist Leroy Neiman & WBC World heavyweight Champion Larry Holmes & the challenger, Gerry Cooney. 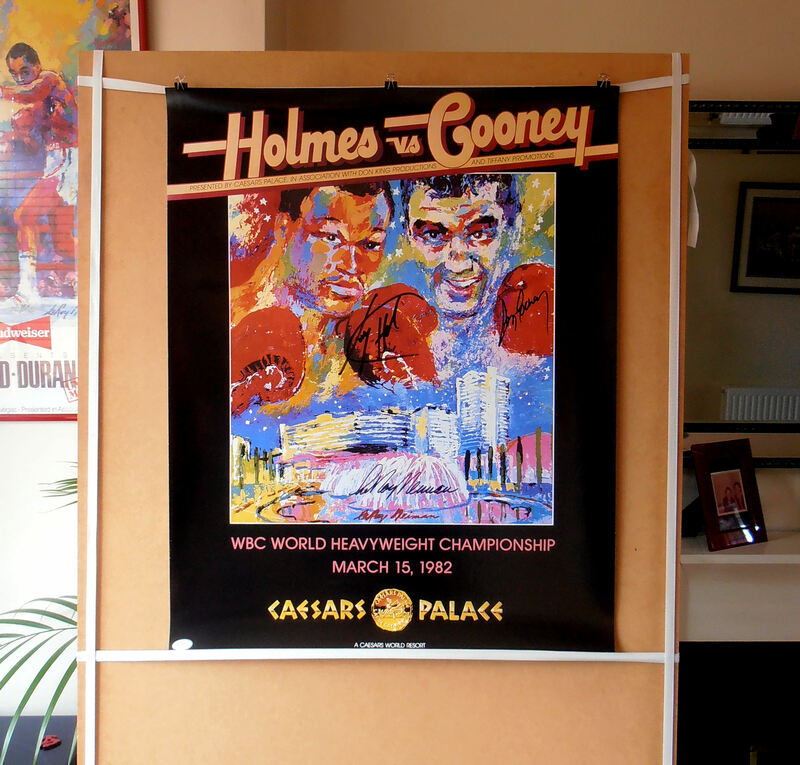 This original Leroy Neiman boxing art poster represented here has been signed by Larry Holmes, Gerry Cooney & Leroy Neiman, and comes with a letter of guarantee of authenticity from KOfightposters.com for a lifetime & beyond + it comes with a James Spence Authentication cert, the sticker on the left hand bottom of the poster is from JSA.